Layers of Charm is one of the most popular videos of 2015 by The Fat Quarter Shop. It's a fun pattern and it really comes together quickly - especially using pre-cut layer cakes squares and charm pack squares. This is my version of the Layers of Charm pattern - a long table runner for my dining table. I had yardage of Ardently Austen by Amanda Herring for Riley Blake Designs which I'd been holding on to for the perfect project. Rather than use the standard measurement, I created my project with 7.5" large squares and 3.5" small squares. It's approximately 65" long by 14" wide. The pattern is very easy to follow and the video is very helpful in assisting you to create your project. This is the perfect project for any skill level, but in my opinion, it's especially suited to a beginner. 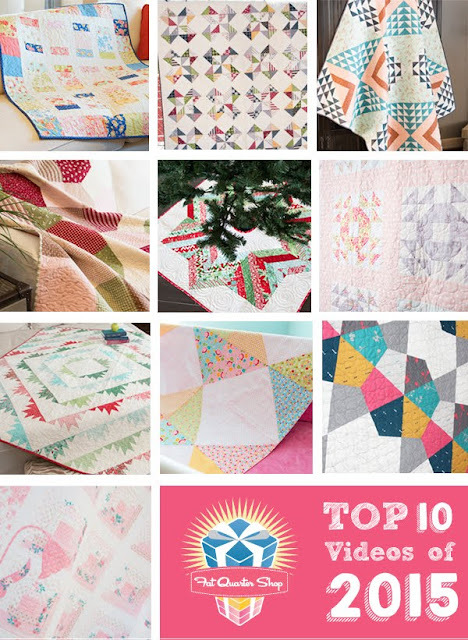 Create your own Layers of Charm Quilt project and share it over on Instagram by tagging @FatQuarterShop with the hashtags #LayersOfCharmQuilt and #FQSTop10 and be in with a chance to win a Fat Quarter Shop $100 Gift Card. The contest will be drawn on 1 February 2016. Good Luck!! Gorgeous fabrics! I love them! 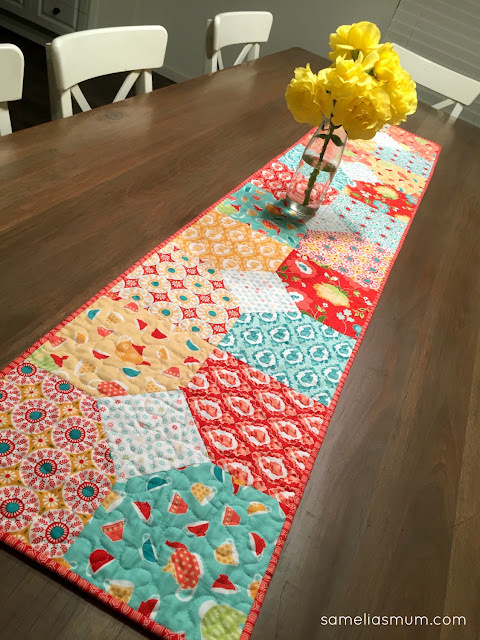 Sweet table runner!